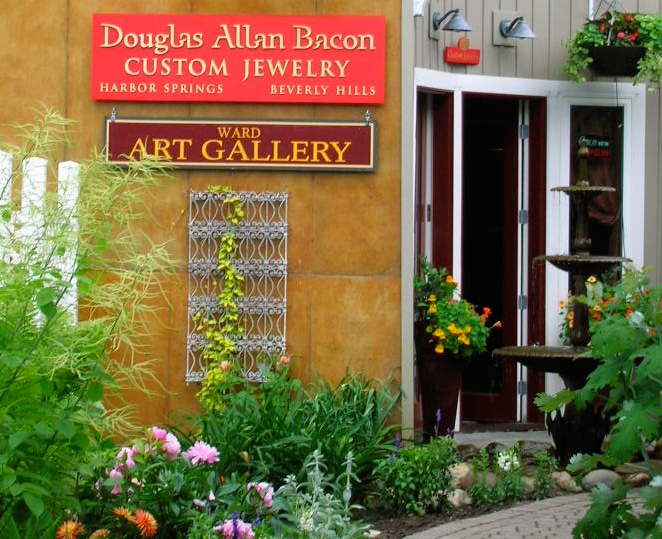 Down a garden path in the legendary resort town of Harbor Springs, is the studio and gallery of Douglas Allan Bacon. 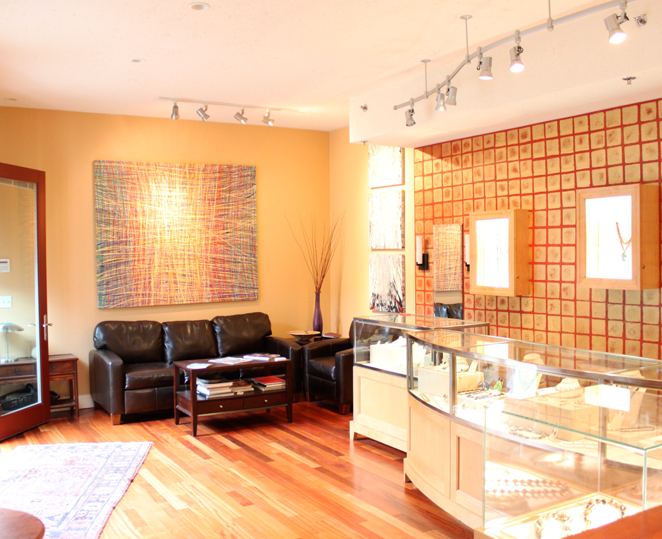 It is a beautiful, relaxed setting for Douglas’s own jewelry and paintings, as well as carefully selected estate jewelry. It is the perfect place to find your unique signature piece, or have something created just for you. The only jewelry designer in the area with a Masters Degree from the Cranbrook Academy of Art, Douglas has the skill and experience to bring your dreams to life.